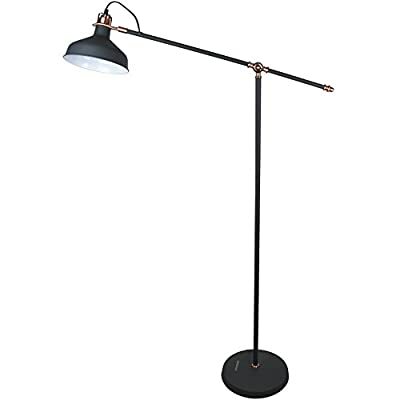 STYLISH METAL TRIPOD FLOOR LAMP ELICITS COMPLIMENTS: The Brightech Jaxon fits in amid industrial, vintage, retro, mid century or traditional décor, in particular, but generally in any motif. 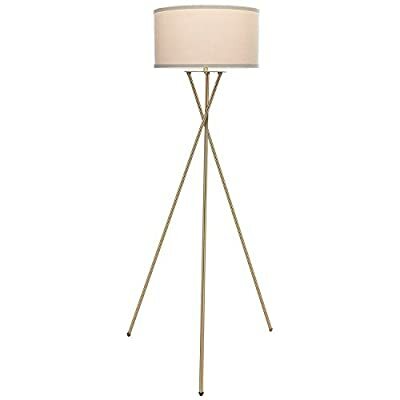 It has a unique stem with three metal legs that rise independently and intersect briefly at an apex before diverging again as they rise toward the drum shape lampshade. The Jaxon looks gorgeous and is sure to be a conversation piece. 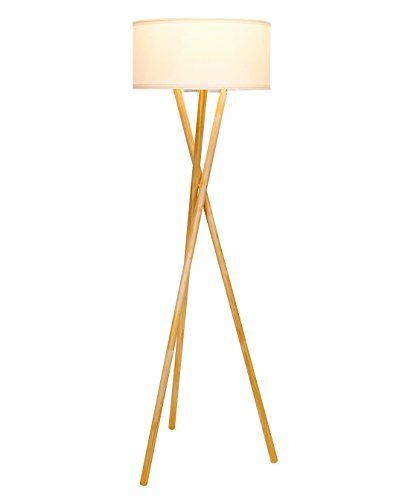 HIGH QUALITY MATERIAL: The lamp is integrated with high-quality metal lampshade and base, enduring, durable and aesthetic . It’s weighted base and sturdy design makes it wobble free and safe to have around children and pets. 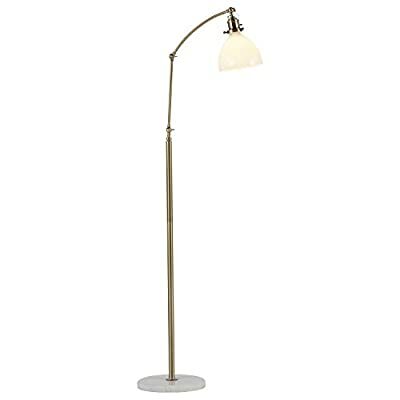 This three-in-one table floor lamp provides warm lighting, a shelf for your coffee, and a USB port for your phone. This functional and stylish piece will help you keep order in your hectic life. 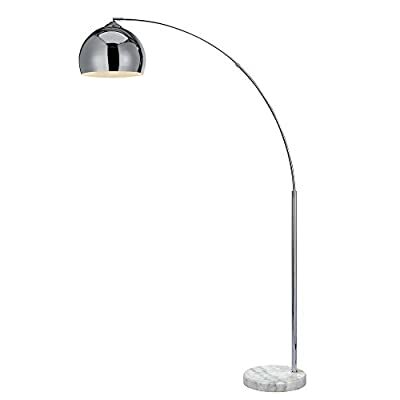 This clever lamp provides style and personality along with light. A bendable arm with decorative joints allows you to adjust your light. 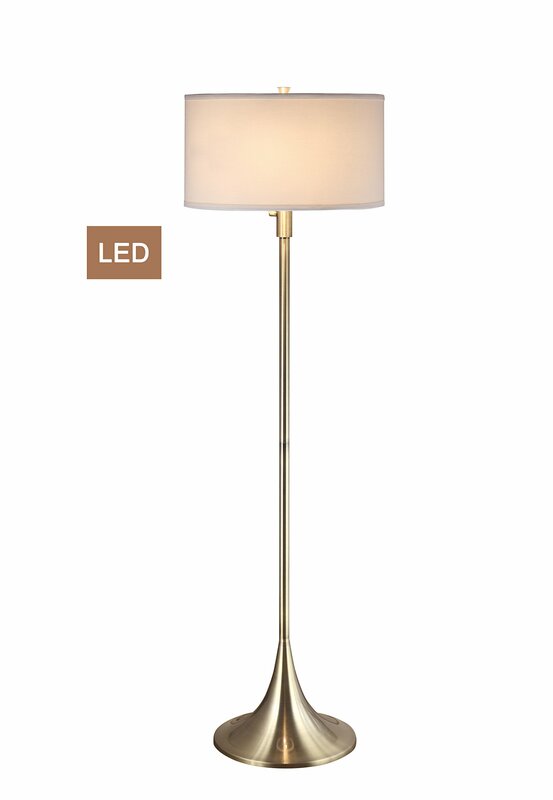 A classic marble base combines with modern sleek metal and a glass shade to blend with your existing styles. A metal desk lamp gets a vintage touch with a classic Edison bulb, for a look that blends with modern or industrial decor. 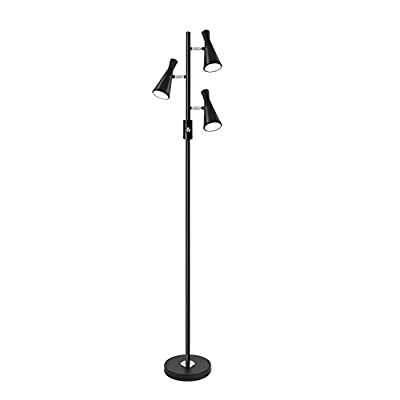 The on-off switch is conveniently located on the pole, while the shade adjusts to cast light in different directions. 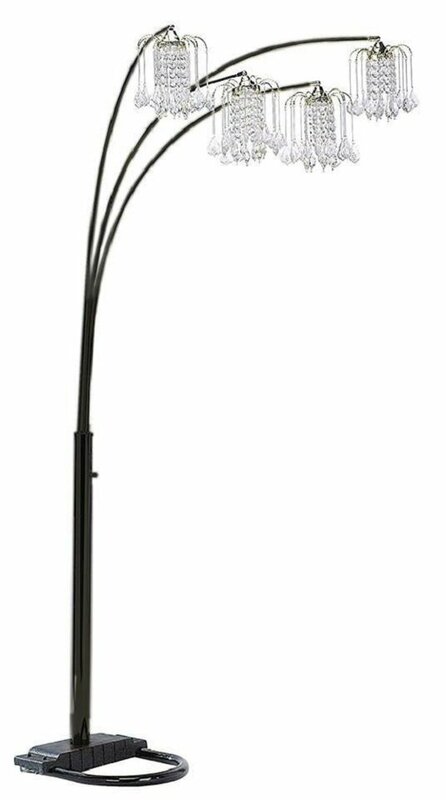 STYLE: The Arquer arched floor lamp is designed with smooth curves and mid-centaury modern style. 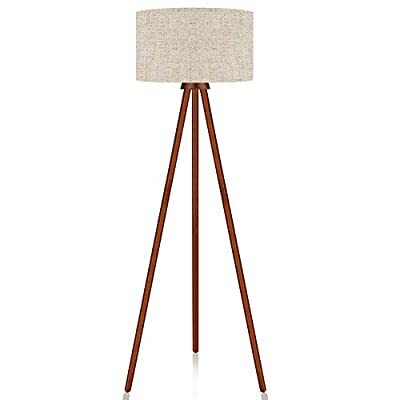 This minimalistic lamp will blend in with any décor and is perfect for living rooms, dining areas, and studios. 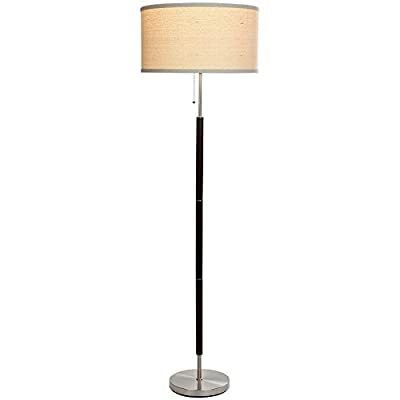 STURDINESS: The heavy marble base makes it wobble-free so this beautiful lamp won’t fall over; making it safe to have around kids and pets. UL INSPECTED: This beautiful lamp is UL certified, and complies with all safety and functionality requirements. 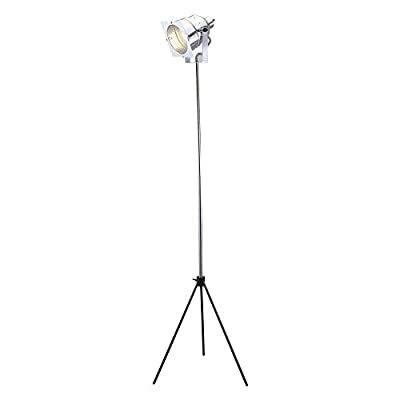 HIGH QUALITY MATERIAL: The lamp consists of high-quality Nature Rubber wood tripod and flaxen TC cloth, which is enduring, durable and aesthetic. It’s sturdy design makes it wobble free and safe to have around children and pets. 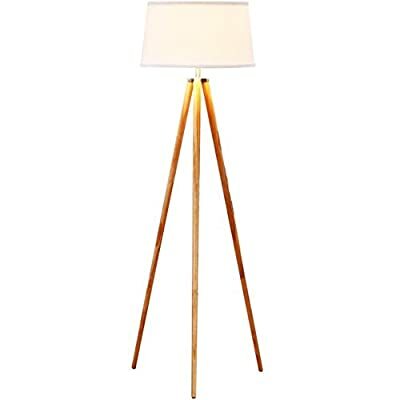 STYLISH DESIGN: LEPOWER wooden tripod torchiere lamp fits in modern architecture and decor. It has a unique stem with three rounded wooden holders that makes the lamp stable enough. It’s rounded lamp shade looks gorgeous and modern in almost any room in your home or office. BULB REQUIREMENTS: Bulb is not included in the package. With an E26 sized screw base, the bulb can be installed as desired. To avoid overheating, we suggest you using LED bulb 10W-12W, energy saving bulb 12W-20W, incandescent bulb 20W-40W (40W MAX). 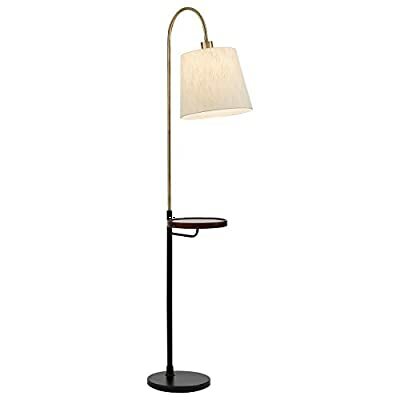 VERSATILE STAND UP READING OR ACCENT LAMP: The Harper fits a range of décor including mid century, modern, minimalist, contemporary, vintage, urban and retro. The crossing legs fit modern architecture while the wood evokes more traditional style. 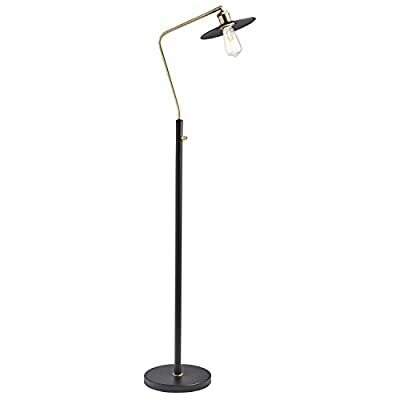 Set beside a sofa or armchair, the Harper makes a pleasant reading light. The glowing diffused light can alternately make cozy accent lighting, e.g. for a calming effect in a nursery room. WORKS WITH ALEXA, GOOGLE, SMART HOME OUTLETS: Works with smart outlets that are Alexa, Google Home Assistant, or Apple HomeKit enabled, to turn on/off. (Requires smart outlet sold separately.) 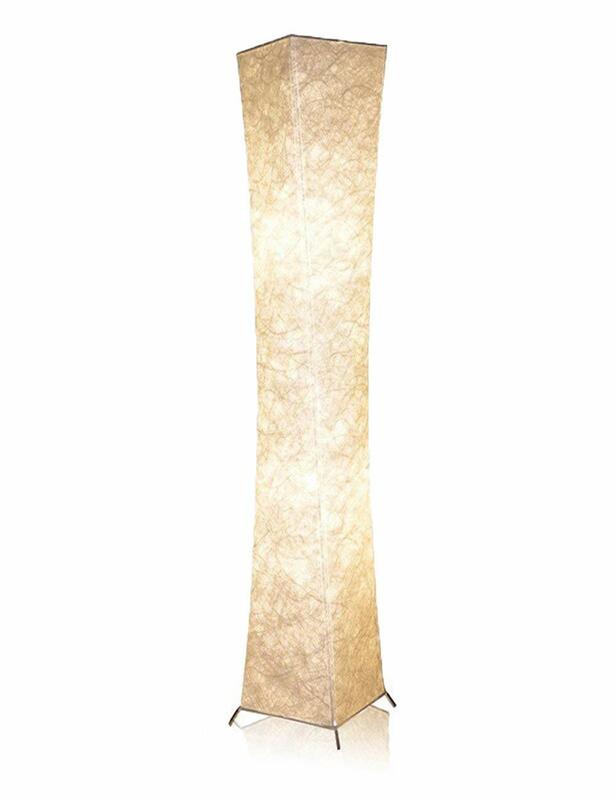 Creates a zen, comforting glow – ideal lighting for yoga studios, spa or salon waiting rooms, massage parlors, bedrooms, living rooms, and family rooms. GORGEOUS DRUM SHADE : The cylindrical lampshade diffuses light making the lamp an uplight and downlight. The drumshade measures 19 inches in diameter and sits beautifully a few inches above the wooden crisscrossing intersection. 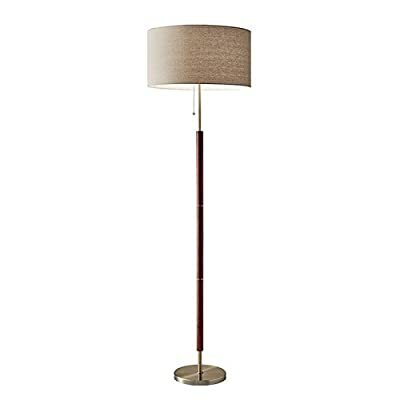 The shade, 9 inches tall, opens above and below and diffuses the light to provide a calm, ambient glow in any room.